At Swan Plumbing, Heating & Air, we are proud of the fact that we have built a team of plumbing and air conditioning professionals with more than 40 years of combined experience. That is why we are known as the home comfort experts throughout Ken Caryl and the surrounding area. When local homeowners call us, they know that they will get the services of a licensed and industry-certified technician with the knowledge and equipment to diagnose and repair their HVAC or plumbing issue. There are a number of reasons why residents in Ken Caryl, CO have turned to Swan Plumbing, Heating & Air for their plumbing and HVAC needs. Our commitment to our customers starts with our pricing. We will provide you with a written estimate detailing the exact cost of your repair or installation. You never have to worry about surprise fees or charges. 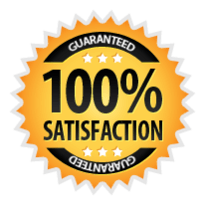 We also believe in completing every job correctly the first time, which is why we back our services with a 100% satisfaction guarantee. When winter weather hits, you do not want to be left shivering because of a furnace or boiler malfunction. When you call Swan Plumbing, Heating & Air, we will promptly dispatch one of our experienced HVAC professionals to your Ken Caryl home to get your heating system back up and running right away. We also offer affordable annual maintenance services designed to keep your heating system operating efficiently for years to come. Most furnaces will require some sort of repair during their 15 to 18-year lifespan. Our HVAC technicians are trained and equipped to diagnose and repair all makes and models of furnaces. If your older furnace is no longer keeping your home warm or is costing you a fortune to repair and operating, we can recommend and install a high-efficiency model that can save you up to 15 percent on your utility costs. We carry furnaces from leading manufacturers at a variety of price points to suit virtually every budget. It is easy to forget about your furnace until there is a problem. An annual tune-up and preventative maintenance can eliminate the majority of unexpected and potentially dangerous furnace malfunctions, save you money on repairs, extend the life of your furnace, and reduce your heating bills. As part of our furnace tune-up service, a Swan HVAC technician will clean, inspect, and test your furnace's safety and operating systems to ensure that they are in working order. Even with regular maintenance, every boiler will eventually need to be repaired or replaced. If your boiler is not heating your home adequately or is showing visible signs of wear, our technicians can diagnose the issue and make the necessary repairs. If your boiler is more than 12 years old, a replacement unit may be a more cost-effective option. If this is the case, we will help you find the most suitable replacement option for your budget and heating needs. From new faucet installations to home re-piping and water heater installations, no residential plumbing job is too small or too big for our team of master plumbers. Homeowners in Ken Caryl and the surrounding area trust Swan for prompt, reliable plumbing service. An unexpected plumbing problem can bring your day to a screeching halt. Our Ken Caryl plumbers are available seven days a week to fix plumbing issues ranging from clogged drains and sewer lines to hidden leaks and low water pressure. You can trust Swan to get your plumbing system back up and running as quickly as possible at a fair price. Our Swan water heater specialists service and install all makes and models of water heaters, including conventional, tankless, solar, electric, and gas. Unusual noises, leaks, rusty water, and a lack of hot water are all signs that you should contact us for a repair. If your water heater is beyond the point where a repair would be cost-effective, we can help you choose and install a high-efficiency replacement unit. Periodic drain and sewer line cleaning is the best way to prevent inconvenient and expensive sewer line and drain clogs. Our Ken Caryl plumbing technicians can scope and snake your drains and sewer lines to ensure that they keep flowing properly. If you do experience a drain or sewer line issue, we are available seven days a week to resolve the problem as quickly as possible. Our HVAC contractors have the expertise to service any make or model AC system, including ductless systems, central AC systems, and wall units. We offer maintenance programs to keep your AC system running reliably and efficiently as well as same-day emergency repair service. When it comes time to upgrade your HVAC system, we install systems from some of the country's leading manufacturers. Your air conditioner may be about to fail if it no longer cools effectively or efficiently or starts making unusual noises. Our knowledgeable Ken Caryl HVAC technicians will quickly diagnose the problem and provide you with your repair options. Some of the most common issues that we see include electrical problems, refrigerant leaks, insufficient air flow, and compressor malfunctions. If your current air conditioner is more than 10 years old, it is time to consider a replacement system. Even well-maintained AC systems become less efficient and more prone to malfunctions as they get older. A Swan AC installation expert can help you choose the right replacement system for your home and budget. We carry a wide range of affordable, high-efficiency models that can save you up to 20 percent on your utility bills.